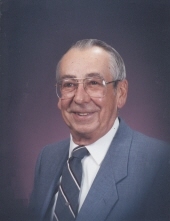 Ralph James Fiala was born on April 2, 1933 in Fort Dodge, Iowa to Joseph and Mary Fiala. His childhood years were spent tinkering with cars, hunting, and learning how to fix anything broken or that needed modifying. After all, there was a war raging in Europe and the Pacific, with rationing and there were shortages of all kinds. He learned to make do with whatever was at hand. With the draft lurking after graduation he enlisted in the Air Force, and had met Ann Darling, a student nurse just at that time. “Thank you, fellow classmate, for introducing us, and I must fulfil my duty to my country.” Ralph and Ann continued a long distance correspondence and two years later after Ann became an RN, they were married. During their 64 years of marriage Ralph and Ann took many trips, and with their four children, were transferred around the western U.S. Their vacations were fun and spent seeing the sights of the country. Ralph was finally stationed at McChord AFB in 1966 as a flight engineer assigned to C-141’s. This time another war took him all over the world , but mostly to the Philippines, Japan, and Hawaii. When he arrived home between flights, all he would hear was four children, clamoring to see what goodies he had brought them. He also greeted his wife with: “well, what broke down this time?” After 26 plus years, he retired from the Air Force, and another adventure took place. Ralph worked for 17 years as a maintenance mechanic at Fort Lewis in a civilian capacity, mostly doing plumbing. He retired at age 63 in 1996, along with Ann who also retired from her nursing job. Together they toured the country in their RV, including four trips to Alaska. Between travels, Ralph planted and maintained a garden at home in Spanaway. There never was a man more proud of all the vegetables from his garden. He always enjoyed family time and loved a party with more food than one could possibly imagine-no one ever left his home hungry! Besides gardening and travel, Ralph excelled in woodworking, making many toys, furniture and other objects that appeared at Christmas, graduations, and weddings. Together in 1989, he and Ann helped build their present home which is graced with many shrubs and flowers, birdhouses and raised garden beds. After suffering a stroke in 2016, life changed for Ralph. He recovered enough to enjoy social life with friends and family, even a trip to Minnesota to visit his sister and nieces. Flying was difficult but he planned on other trips in the future. Special family dinners with his four children and their spouses provided fun and laughter for all. Never one to give up, he soldiered on until complications from a second stroke ended his journey on earth on April 6, 2019 at age 86. Surviving are his beloved wife, Ann, and four children: Kathleen (Jay) Afflerbaugh, Margaret (Greg) Smith, Mary Beth (Bryan) Bowden, and Joseph (JoAnn) Fiala, his sister, Irene of Fort Dodge, Iowa, several nieces and nephews; 9 grandchildren and 11 great grandchildren. Ralph was preceded in death by his father, Joseph; his mother, Mary; his sister, Helen; and granddaughter Lynn. Mass of Resurrection will be held on May 2nd at 10:00 am at Our Lady Queen of Heaven Catholic Church in Spanaway, preceded by the Rosary at 9:30 am. A reception will follow mass in the church hall. Interment will be held at Tahoma National Cemetery with military honors on May 3rd at 1:00 pm. To send flowers or a remembrance gift to the family of Ralph J. Fiala, please visit our Tribute Store. Guaranteed delivery before Ralph's rosary begins. Guaranteed delivery before Ralph's funeral mass begins. Guaranteed delivery before Ralph's graveside service begins. "Email Address" would like to share the life celebration of Ralph J. Fiala. Click on the "link" to go to share a favorite memory or leave a condolence message for the family.